What are the Benefits of using Mobile Marketing? 01 Feb What are the Benefits of using Mobile Marketing? In general, mobile marketing means marketing on or with mobile devices. Either an online shopping or a SMS notification for a product ads, it may involve any marketing activities via mobile. According to Andreas Kaplan, a professor and specialist of marketing, defines mobile marketing as “any marketing activity conducted through a ubiquitous network to which consumers are constantly connected using a personal mobile device”. The good news with mobile marketing is that with so many companies behind the curve, this provides knowledgeable companies with a competitive edge to a mobile web design. Mobile marketing differs considerably from desktop web marketing: Desktop searches are often about things people plan to do in the future, while mobile search users are looking to spend money on a particular product or service. This can mean that the companies prepared to attract mobile customers spontaneous sales. Mobile advertising can therefore reach customers in your area and almost immediately ready to purchase your products or services. 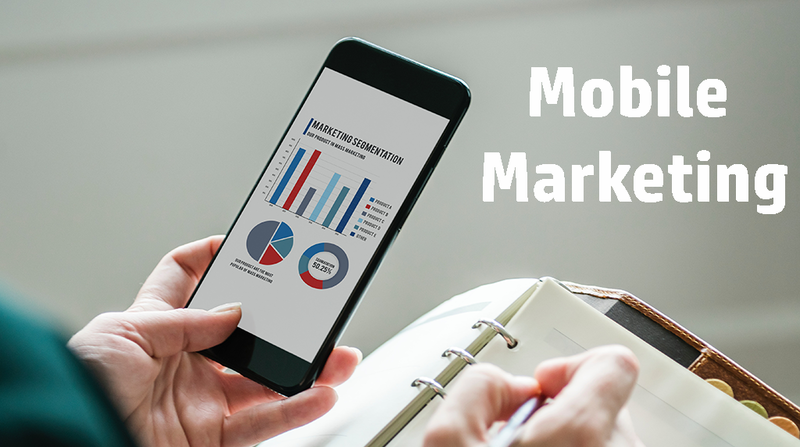 It is possible to track mobile marketing messages and to calculate responses and click rate, so that companies can get strong information about their mobile marketing ROI. It is easier to do so. That helps companies to adapt to changing consumer requirements and wishes more quickly, allowing consumers to remain ahead of competitive curve and maintain a positive customer experience. The heavyweight search engines such as Google and Bing are appearing to enhance search ranks in websites with links and mention on social media outlets such as Facebook, Twitter and LinkedIn, most of which are links, quotes, tweets or post from mobile devices. Mobile web design also allows companies to access an explosion in mobile search directories in the local area. This makes it highly likely that your mobile website will first see the search for more mobile customers, which will enhance your chance to bring people into your store. As consumers tend to attach greatly to their smartphones, mobile marketing can be seen as “friendly” to end users or more “familiar”. If two-way communication can be established, trustworthy customers can build strong relationships with their favorite companies. Mobile numbers as unique personal IDs can enhance the integrity of Customer Relation Management as regards management information systems. Mobile marketing is significantly lower than that for other traditional marketing channels. The cost to prepare for a marketing campaign is lower because you can easily integrate your mobile marketing campaigns on other media networks such as TV, radio, print and social media. Smartphone users take them all over the place. It is like addiction. This means that your mobile marketing messages go with them everywhere and remind you that they might stop in your neighborhood. And it is easy to guide these clients right to your door with mobile-optimized mapping. Mobile marketing’s business opportunities and benefits can boost your business for a very long time now. And, with the number of smartphones set for later this year to exceed the number of people living on the planet, you can’t afford it. Contact us today to mobilize your website for the future!